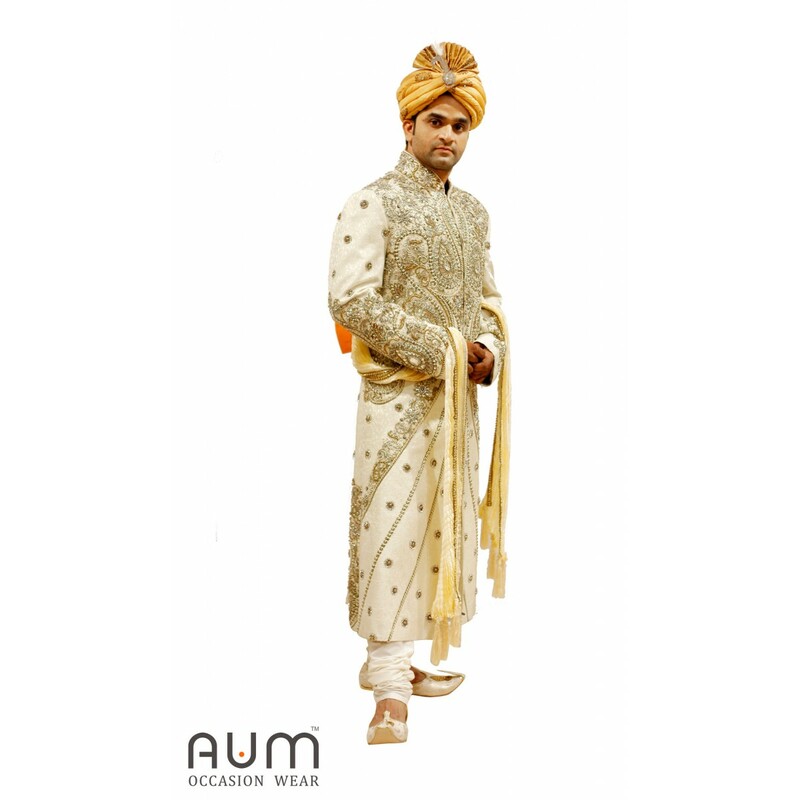 his luxurious Golden sherwani gives the wearer a royal look. 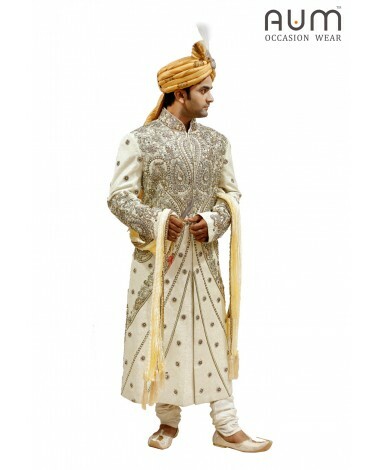 This elegant Sherwani is designed with high quality thread embroiding on the front part and beads are craved in it. 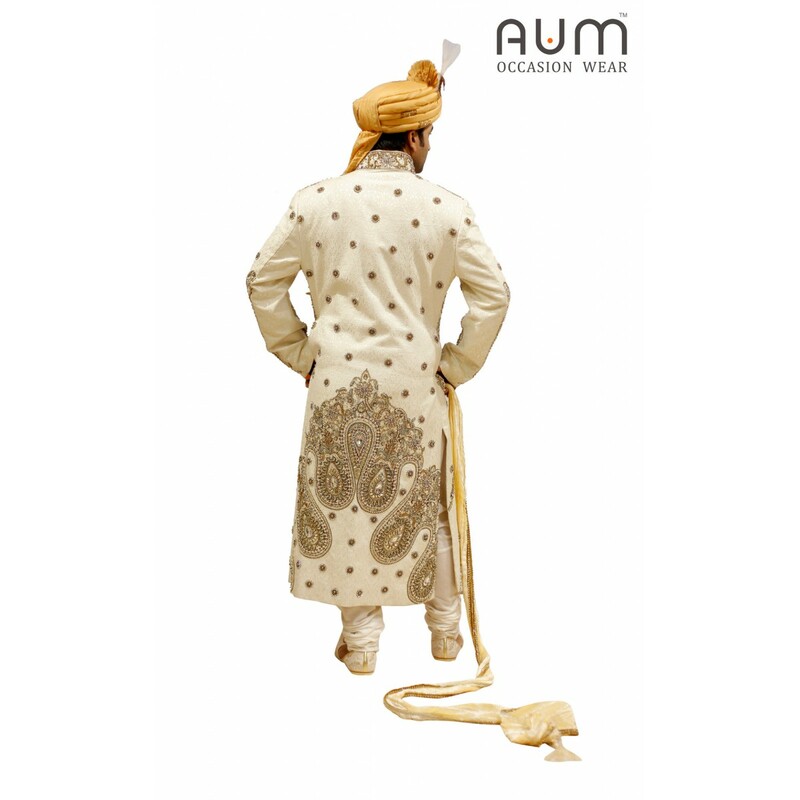 The Lower end of both sleeves is also embroiding with thread. 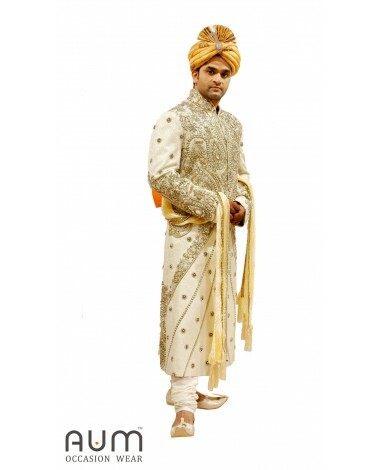 This luxurious Golden sherwani gives the wearer a royal look. 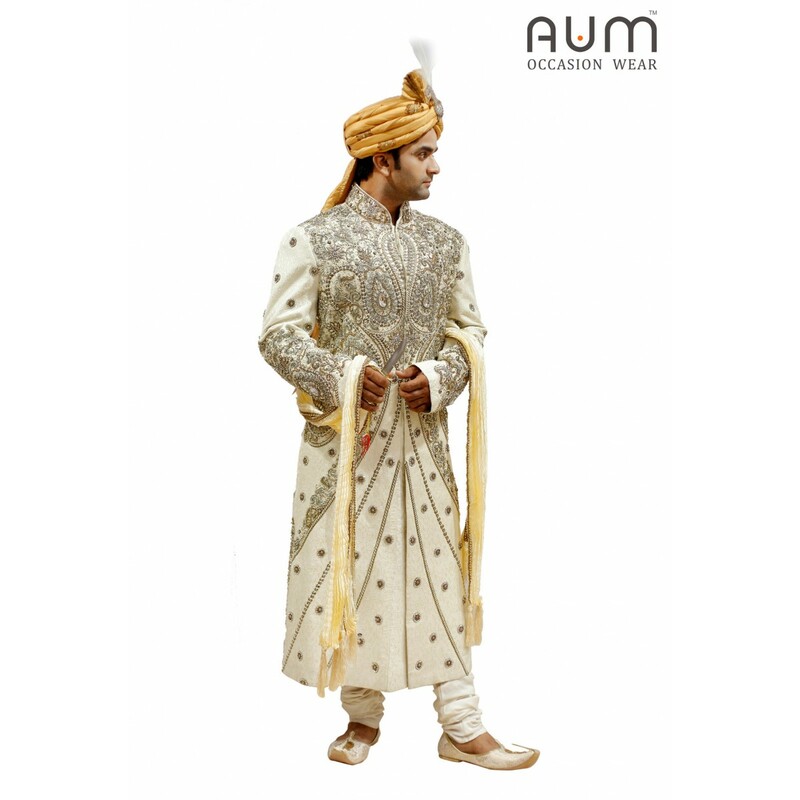 This elegant Sherwani is designed with high quality thread embroiding on the front part and beads are craved in it. 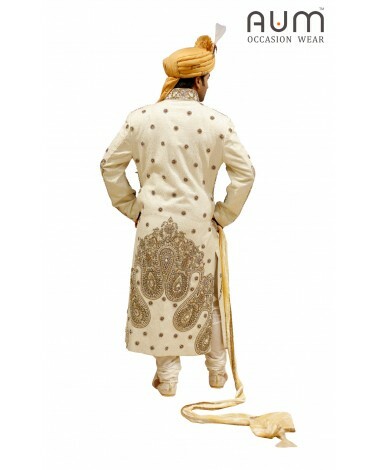 The Lower end of both sleeves is also embroiding with thread.